Has your home taken on a new look like mine has recently? My living room has been rearranged and Christmas has moved in. The Nutcracker stands guard on the fireplace and our stockings are hung above the chimney. Scout, my 8-month old beagle has made her home in the Christmas throw on the couch. I love decorating for Christmas. To me, unpacking the decorations is almost like Christmas itself. Under the colorful tissue is a gift, a gift of sweet memories with each collectible unwrapped. When it comes to the evergreen, ours is artificial. In the decorating process it seems to take on a rag tag look with little coordination. Instead of the matching thematic look it’s an old school mish-mosh of festiveness. The ornaments represent more than symbolic decoration. Each ornament placed on the tree holds a precious memory, some were sweet gifts holding sentiments of the heart. Some come from far away places commemorating adventurous travels as far as east is to the west. The stuffed ones that look like children’s toys were hand sewn by my grandmother Pat. Many of my ornaments are at least 40 years old. This Fleur de Lis representing French royalty came from my trip to New Orleans where I spent Christmas the year after Hurricane Katrina. 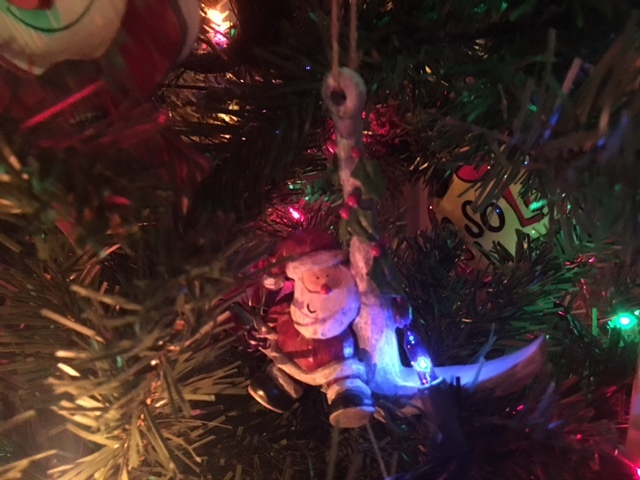 A couple of the ornaments on my tree date all the way back from my childhood. There’s the star I made out of popsicle sticks and decorated with glitter when I was five, I can’t believe I’ve held on to that so long! Then there’s the ice cream cone my parents bought for their tree when I was just months old, yes I was days shy of being a Christmas baby. I’m not sure at what age the tradition began, but each year my mom has bought me an ornament as a gift, handwriting the year on the bottom. That’s where my collection of festive Santa’s began, I have several of those and love seeing them each year! This guy is from my Mom’s Alaskan cruise, she saw a herd of moose! 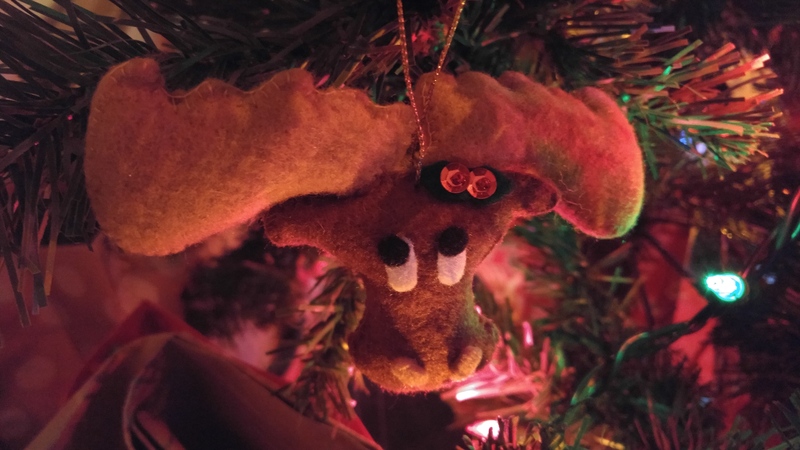 I recently heard on the radio about an ornament tradition a mom started for her kids. Each year she gives them an ornament for the tree that memorializes their year in some way. Maybe it represents an accomplishment or a hobby, something to mark a great happening in their life that year. I love that. One mom said she plans to give the ornament collection to her daughter when she moves out on her own, an oh so special starter kit for sure! My tree represents some of that too. For the past couple of year’s I’ve gotten a couple of ornaments to celebrate my sweet pups. This year I’m adding a beagle ornament in honor of Scout coming into my life. Last year I added a sweet sparrow to mark my volunteer work with ladies who are being trafficked, we call them sparrows. Christmas in Key West, FL! This year I’m starting a tradition. Each year I’ll be adding an ornament to symbolize my year in some way. I can’t wait to see my collection grow. Ornaments are more than decorations aren’t they, they’re part of our heart and soul. 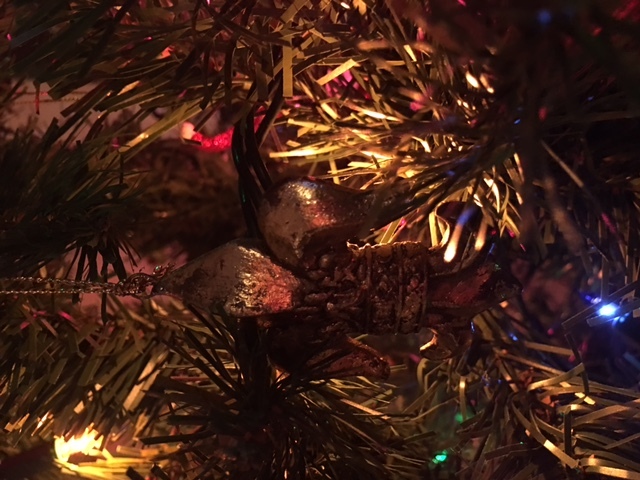 Tell me about a special ornament on your tree! 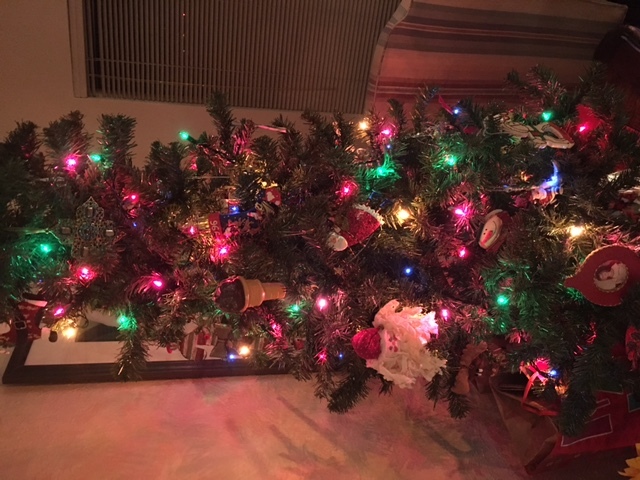 My 2016 tree perched atop a table to prevent the puppy from getting into it. I ran out of lights so I cut the top off of the photo! Each day I’m happy it’s still standing! I’ve collected Hallmark ornaments since I was born. I have a tree full of them. I love all of the memories they bring.